I would eventually see that certain kinds of melancholia are natural for many artists, and not only melancholia but strange kinds of behavior that are difficult for anyone who is not an artist to understand, let alone embrace. Elizabeth Berg has been one of my favorite authors for a very long time. She’s amazingly talented and prolific, even though she didn’t publish her first novel until she was in her mid-forties. Durable Goods came out in 1993, and almost every year since then I’ve had the pleasure of reading a new Elizabeth Berg novel or short story collection. Some years she even published two books. I was disappointed last year when no Berg book appeared on our store shelves. Horan was right — it is fabulous. Readers will be captivated by Berg’s lovely and perceptive rendering of George Sand’s brilliant and tumultuous life. Sand, born Aurore Dupin, left her unhappy marriage to become an independent woman — and eventually the first female bestselling author in France. The questions Berg raises through her imaginative portrayal of Sand’s inner and outer lives are as relevant today as they were in 19th century France. Must one pay a price for fame and success? How can a woman balance motherhood with her career? What does it mean to be a female artist? George Sand entered my subconscious. I began to dream of her; then, I thought, to dream like her. I know that might sound arrogant or at least unlikely. But I believe she captured me, and I was a most willing prisoner. Berg was kind enough to answer my questions about The Dream Lover, even though she’s on an exhausting month-long book tour. 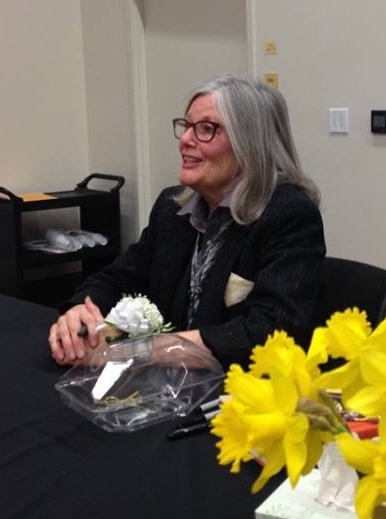 The tour started here in Chicago, and Lake Forest Book Store was thrilled to host a luncheon (at a French restaurant, of course) and an evening event at a nearby library on publication day. I have to admit I knew very little about George Sand before I read The Dream Lover. I knew two things: that she was an 18th century French writer and that she wore men’s clothing. I suspect that’s much as most of your readers know. The character you brought to life is, as you say, “a mass of contradictions”. 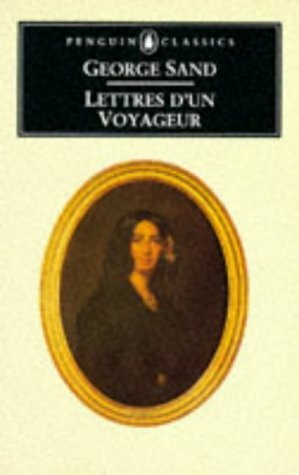 How would you compare the process of developing George Sand’s character on the page to the process of bringing a completely fictional character to life? And is any character completely fictional, or do they all incorporate elements of people you’ve known? You’ve heard the phrase,” You can’t make this stuff up!”, right? That was my experience in writing about George Sand. Her life was so interesting, so full of outrageous incident, such tragedy, such scandal, but also such joy and tenderness and catharsis I could never get away with trying to suggest such things would be plausible if I were writing about a fictional character. Truth really is stranger than fiction! How do you think modern readers who’ve never read the work of George Sand before would respond to her work (in translation)? Is there a particular novel that you would recommend? And are her works still widely read by the French? I don’t think George Sand is widely read by anyone, actually. But one book I would recommend is Lettres d’un Voyageur, which is Sand’s travel writing and contains some of the most ravishing descriptions of Venice I’ve ever had the pleasure to read. Also, if you’re up for a loooooong book, try her 1,000+ page autobiography. It’s fascinating, and one of the things I liked best about it is the way that she respects where she came from, and devotes a great deal of space to her grandparents and parents. I also recommend her letters, especially those between her and Gustave Flaubert. Did your research involve any travel to Paris and/or the French countryside, or any study of French? I’ve been to Paris. I purposely did not go to Nohant, because I wanted to see it as it was, not as it has become. Now that I’ve finished the book, however, I’m dying to go. I minored in French in college, but I’m afraid I’ve forgotten most of it. George Sand had to change her name to succeed as a writer — and today, I am sorry to tell you, many men won’t read books they perceive as being “chick” books. (This includes about 90% of literary fiction.) Why do you think this is? I find women to be much more catholic in their reading tastes than men, and I’m always wondering why. Well, I guess the simple and unfortunate answer is that women are still second-class citizens, still often times not taken seriously, not given the respect (or salary or recognition) that they are due. A lot of people are tired of hearing that, but their ennui doesn’t mean the problem isn’t real. I make a concerted effort to support women writers—and women in general. That’s all I can do. If we could have a glimpse of your personal library, what would it look like? How is it organized? Like most writers, I have a gazillion books: literary fiction, poetry, essays, memoir, non-fiction titles, graphic novels. Organized? No. It is a mess. Once, I hired three college girls to organize my library and they made it worse. Help! Could you tell us about your writers’ group(s)? Do you see yourself as part of a literary community in Chicago and how would you characterize that community? My writers’ group is made up of seven women who meet weekly at a study room in the Oak Park Public Library. Not all of us are there every time, but we try to be. Anyone who brings pages reads them aloud and is then critiqued by the group. We are kind, but honest. Supportive and fun. Often times, we bring good food to share. I love that part. If only dogs could come to the library, it would be perfect. I do see myself as part of a literary community in Chicago, and am interested in working with others to convince publishers to send us more authors. In your interview with Nancy Horan, you say, “I hope readers will finish the last sentence of The Dream Lover and say to themselves, Boy! That was a good read!” What have you read recently yourself that made you say that? Do you have any favorite historical novels? Well, I loved Loving Frank, of course. Favorite recent reads include Rachel Joyce’s Perfect, Karl Ove Knausgaard’s My Struggle (volumes 1 and 2) and Anne Tyler’s A Spool of Blue Thread. 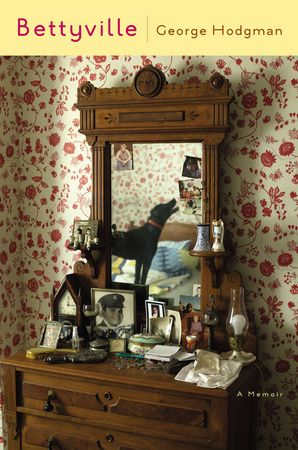 I thought Akhil Sharma’s Family Life was astonishingly good. One woman brought me a wrist corsage–for the second time, as she pointed out. “Oh, I love wrist corsages!” I told her. “I know,” she said. “You told me that last time” “I always wanted one to wear to the prom, but I never got one,” I said, and she said, “I know, You told me that last time, too.” I snapped that corsage right on and I felt like Principessa Elizabetta. As you well know, an author’s work doesn’t end when her book is published — a whole new phase of her job begins. How do you feel about that — do you enjoy promoting the book, which involves social media and public speaking? I love meeting people who read and like my books, and am so grateful when someone comes to a reading and says, “You know, I’ve never come to a reading before. This was fun!” I’m not nuts about doing interviews on the phone when I can’t see the person’s face; it makes me nervous. I’m not nuts about hanging around airports day after day. But I AM nuts about room service, and the fact that my wonderful publisher is willing to send me on the road. I’m sure readers would love to hear about your Writing Matters events. Could you tell me a little bit about what inspired you to start them? I know you’ve mentioned that you are trying to gain some visibility for under appreciated authors. I’ve always wondered why some books “take off” and others — just as wonderful, if not more so — don’t find their audience. Writing Matters was inspired because one day I was talking to a friend and extremely good writer, Leah Hager Cohen, about a book she had coming out. I asked if she were coming to Chicago on tour; I wanted to go to one of her readings. She said oh, her publisher didn’t tour her. She didn’t sell enough books to warrant a tour. Here is a brilliant writer (and wonderful, kind and engaging personality) who got a rave review on the front page of the New York Times Book Review. Here is someone who is such an inspiration to read, so talented. I told her, “Well, you’re going to come to Chicago now, because I’m going to do an event for you.” With only three weeks to plan, we rented the Hemingway Museum, got food and flowers and wine , made posters to advertise and programs to hand out, and voila: Writing Matters was born. At the first reading, we had 75 people, at the second, 150. We’ve now completed a year’s worth of every-three-month readings, and next time we’re doing something different in that we’re having a children’s book writer: the delightful Amy Krouse Rosenthal. (The time after that, I’m shooting for highly esteemed poet Charles Simic.) I wanted Writing Matters to serve author, community, and audience, to make it an elevated kind of book signing that would be a real evening out. All proceeds go to buy books for children who would otherwise not have them; currently we give the money to Magic Tree Bookshop to set up an account for the kids at Hephzibah. They can go to the bookstore and pick out whatever book strikes their fancy. It’s really rewarding to see authors get the audience they deserve, audiences to get the authors they deserve, and to serve the community not only by buying books for children but by advertising (for free) local business and restaurants that we like on our programs. There is always a reading by a kid for a warm-up act, and there is always a surprise of some kind. It’s a lot of work to produce, but totally worth it. I recommend you check out Elizabeth Berg’s Facebook page, which is an absolute delight — many of her posts are actually essays, and I think you’ll find them inspiring and uplifting. It’s Monday, March 30 — What Are You Reading? 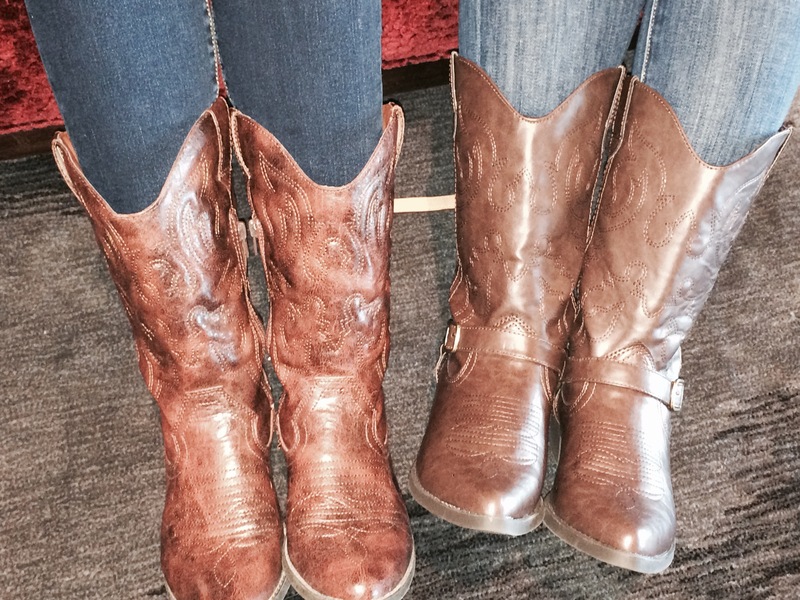 Cowboy boots are a must in Nashville. This week promises to be quiet and peaceful, with the schools on spring break and lots of people out of town. Last week was a flurry of activity in the bookstore as customers rushed in to pick up books to read on the beach and the plane. Some readers are serial monogamists, sticking with one book and then moving on to the next. Others are polygamists, juggling several books at once. (I just Googled the term “book polygamist” to make sure I wasn’t inadvertently plagiarizing, and stumbled upon a list of “popular polygamy books”. Turns out I’ve read most of them — is that weird?) I am, and have always been, a polygamous reader. I like juggling several books — usually one novel, one or two nonfiction books, and an audiobook. I like at least one of the books to be an e-book so I can read it in bed after my husband falls asleep. “She lost herself to me,” Julavits writes of her younger self. And so did I, with great pleasure. Losing one’s self is, after all, one of the rewards of reading. The opportunity to inhabit another self, to experience another consciousness, is perhaps the most profound trespass a work of literature can allow. In two weeks, beloved author Elizabeth Berg will be launching her first work of historical fiction at a couple of events hosted by Lake Forest Book Store. I started reading The Dream Lover a couple of weeks ago and sadly had to put it aside so I could finish my book club books. Berg delves into the heart and mind of writer George Sand, born Aurore Dupin, who was the first female bestselling author in France. I’m planning on finishing the book this week, because I have an upcoming interview with Berg — stay tuned! I just finished Mimi Malloy, at Last!, by Julia McDonnell, and I’m still trying to decide how I feel about it. 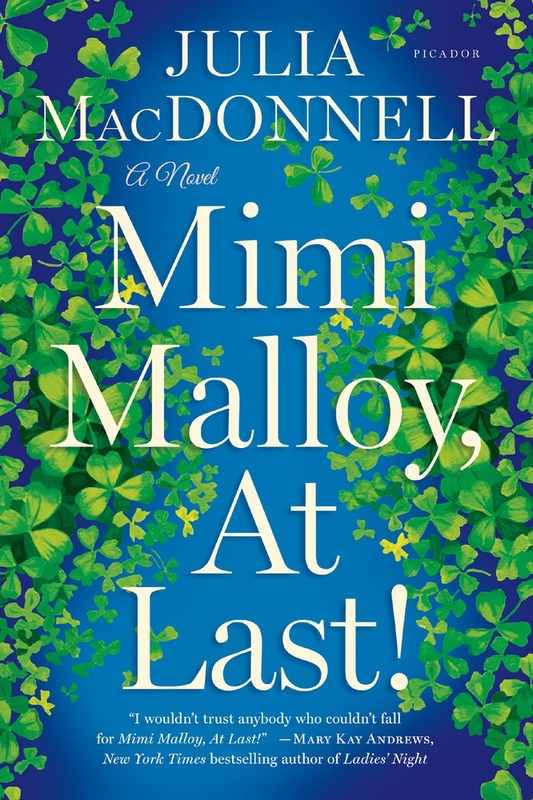 The title character is a sixty-something Irish-American divorcee with six daughters. Mimi has recently been forced into retirement, and is reluctantly exploring her sad family history. She’s a wonderful character, full of wit and humor, with plenty of sharp edges. 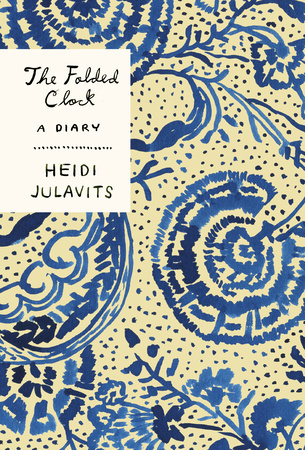 (One of the blurbs aptly compares her to Olive Kitteridge.) The novel includes a sweet love subplot between Mimi and her apartment building’s superintendent, which is oddly juxtaposed with the disturbing story of Mimi’s horrific childhood. Readers looking for light “beach reading” will find that although the novel is a page-turner that reads quickly, it’s much darker than it initially appears. Even the title seems inappropriate — it sounds like the title of a children’s book about a plucky tomboy. It’s strange that the ARC I have has no exclamation point in the title, while the published book (both hardcover and paperback editions) includes an exclamation point. 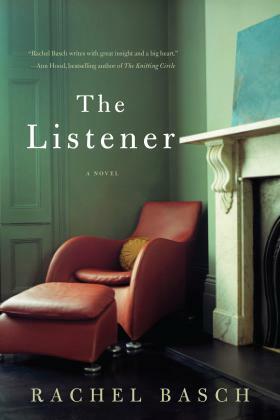 I just started The Listener, by Rachel Basch. I’ve mentioned before that I am a complete sucker for books set on campuses, so this book — about a psychologist who counsels students at a small liberal arts college in Maine — had my name all over it. I loved an earlier book of Basch’s, The Passion of Reverend Nash, which covers some of the same territory as The Listener: the complicated relationship between the healer and the patient. 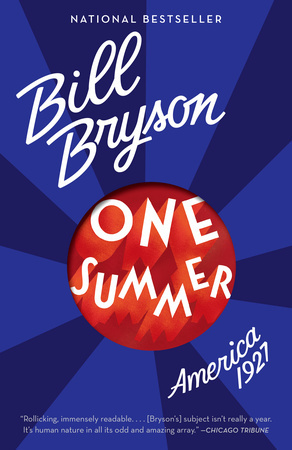 And finally, my current audiobook is One Summer: America, 1927, by Bill Bryson. Our couples’ book club is discussing this book in a few weeks, and I think it’s a great choice. Bill Bryson is one of my favorite nonfiction authors — he’s really mastered the art of writing books that simultaneously entertain and inform. However . . . I think maybe he should stick to writing and his publisher should hire a professional narrator for his audiobooks. His voice has a strange, prissy quality that is driving me crazy. I think I may have to switch to the print book and find another audiobook for my walks. The sun is shining and the temperature in Chicago is heading toward 50 degrees, so I’m heading out to take a walk with Bill. I’ll let you know if I decide to end our relationship! It’s Monday — What Are you Reading? is hosted by Book Journey. Happy St. Patrick’s Day! Only three more days until the official first day of spring. I actually went outside without a coat yesterday. Winter was a great reading season, but there are so many wonderful books to read this spring I can hardly keep track of them all. 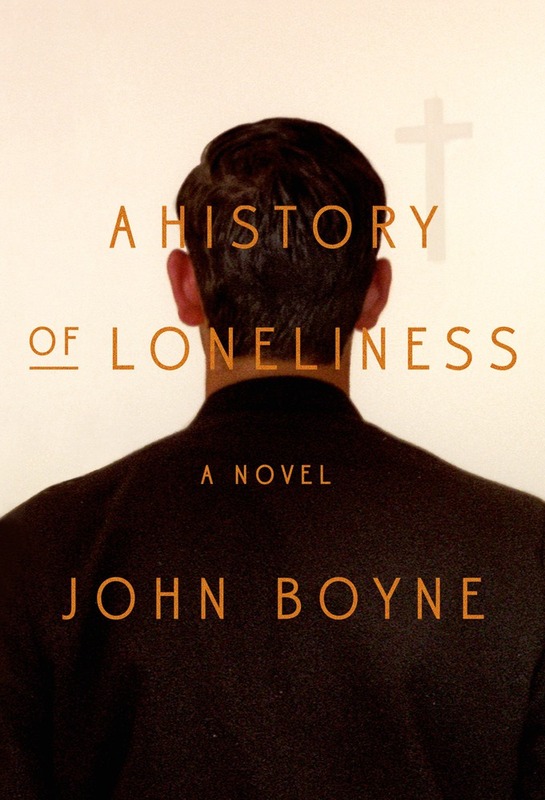 Yes, there is one book written by an Irish author on my list of 10 books to read this spring — A History of Loneliness, by John Boyne. I’m sorry I didn’t include Boyne in my post on Irish authors last March, because he’s a spectacular writer whose books run the gamut from a children’s book about the Holocaust (The Boy in the Striped Pajamas) to a ghost story for adults (This House is Haunted). In A History of Loneliness, Boyne explores the life of an aging Irish priest confronting his past and the scandals rocking his beloved church. 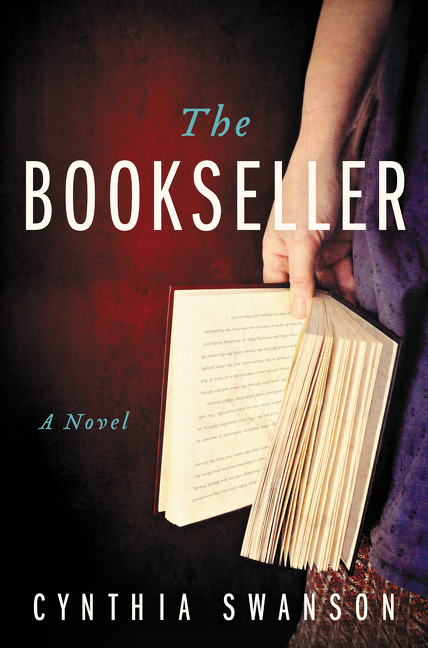 If you’re in the mood for something lighter, The Bookseller, by Cynthia Swanson, might fit the bill. I can never resist any book about bookselling, and Swanson’s debut novel — which is on the March Indie Next list — sounds enchanting. It’s about Kitty, a struggling,single bookstore owner who dreams every night about being Katharyn, a married woman with a house and a loving family. Eventually she begins to wonder which of her lives is real. One of my colleagues read this book and enjoyed it, but thought the ending was a little “sappy”. So consider yourself warned — but sometimes I’m in the mood for a sentimental book. The Storied Life of A.J. Fikry could certainly be described that way, but I think you’d have to be a real cynic not to love that book! Hausfrau, Jill Alexander Essbaum’s first novel, is certainly not sappy. Sue Boucher of the Cottage Book Shop says it’s “creepy . . . but kind of perfect.” Essbaum is not your everyday writer of psychological thrillers — she’s published four collections of poetry. The “hausfrau” of the title is Anna Benz, a modern-day Anna Karenina and expatriate housewife in Zurich who “will provoke strong feelings in readers well after the final page”, according to the starred Publishers Weekly review. 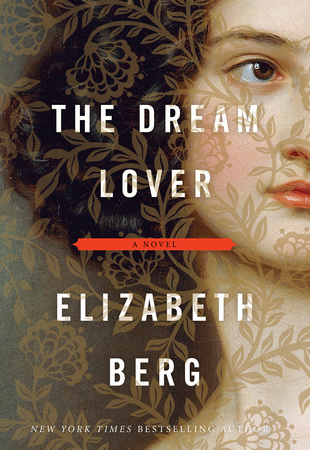 I’m reading The Dream Lover, by Elizabeth Berg, and absolutely loving it. The novel is an exploration of new territory for Berg, who has never written historical fiction before. She delves into the heart and mind of writer George Sand, born Aurore Dupin, who was the first female bestselling author in France. 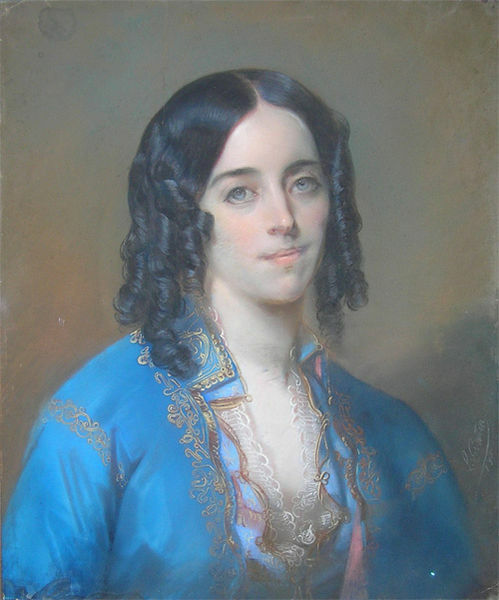 In an interview with Nancy Horan, which appears at the end of the book, Berg says that “George Sand entered my subconscious. I began to dream like her; then I thought, to dream like her . . . I believe she captured me, and I was a most willing prisoner.” I am similarly captivated by Berg’s marvelous book, which will be out on April 7. 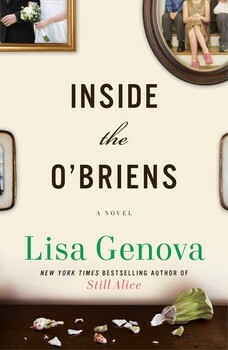 Also due on April 7 — Inside the O’Briens, by Lisa Genova, which I think is her best book yet. Genova is enjoying newfound popularity because of the success of the movie based on her first book, Still Alice. The story of a loving family in crisis, Inside the O’Briens focuses on Joe O’Brien, a tough Boston cop who is devastated when he learns that he is suffering from Huntington’s disease — and that his four children may have inherited the disease from him. I would like to ask readers a provocative question, though: when is a novel literature and when is it propaganda? I don’t mean propaganda in the negative sense of the word, but in the sense that the purpose of the book is to promote a cause. 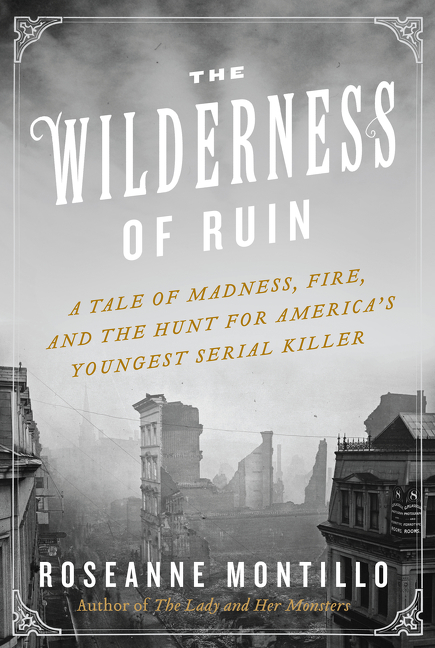 The Wilderness of Ruin: A Tale of Madness, Fire, and the Hunt for America’s Youngest Serial Killer, by Roseanne Montillo, is reminiscent of The Devil in the White City. It’s the true story of a 14-year-old Boston boy who preyed on children in the late 19th century. The criminal investigation raised legal and medical questions that are still being debated today. The book is particularly fascinating in light of the current trial of the Boston marathon bomber. Mary Norris, author of Between You and Me: Confessions of a Comma Queen (due April 6), is much more than a copy editor; she’s a delightfully wicked and witty writer. Norris has been on staff at the New Yorker since 1978, upholding the magazine’s notoriously high standards. The New Republic describes “Norris’s very funny, lucid, and lively new book” as “part memoir, part language guide, and part personal account of life at the New Yorker.” I enjoyed every page, and learned a few things besides. By the way, a truly awful article in the Wall Street Journal on March 13, entitled “There is No ‘Proper English'”, says “. . . you may use ‘they’ as a singular generic pronoun; you may say ‘between you and I.’ The pedants’ prohibitions on constructions like these are not supported by the evidence of general usage.” What would Mary Norris say? Or my grandmother, for that matter?
. . . a novel that values the everyday over the extraordinary, the push and pull of human relationships—and the book’s effect is cumulative. There is real pleasure in following characters over such a long period, as they react to setbacks and successes, and, in some cases, change. By the time the characters reach their 50s and the story arrives at its moving conclusion, readers will be attached and find them very hard to forget. And because it’s too hard to stop at 10, please indulge me while I mention three more new spring books I’m excited about: What Comes Next and How to Like It, by Abigail Thomas, a lovely collection of essays that follows A Three Dog Life; At the Water’s Edge, by Sara Gruen (author of Water for Elephants), historical fiction that takes place in the Scottish highlands during World War II; and The Children’s Crusade, by Ann Packer (author of The Dive From Clausen’s Pier), the chronicle of a California family, spanning five decades. For more lists of great books to read this spring, check out the lists at The Broke and the Bookish.